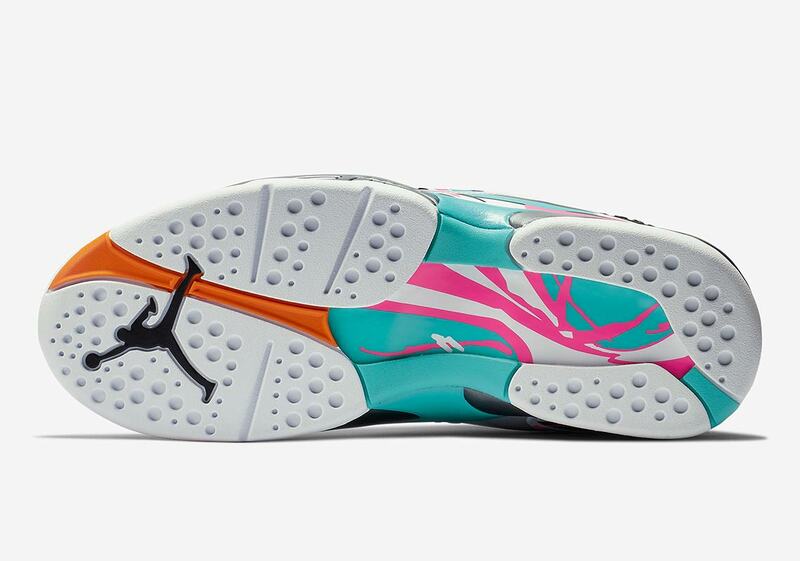 1993 was a good year for Michael Jordan. The Chicago Bulls completed their first ever three-peat, vanquishing the Phoenix Suns in the NBA Finals 4-2, and Jordan himself had no shortage of personal accolades — grabbing a Finals MVP to go along with his All-NBA First Team and All-Defensive First Team selections. 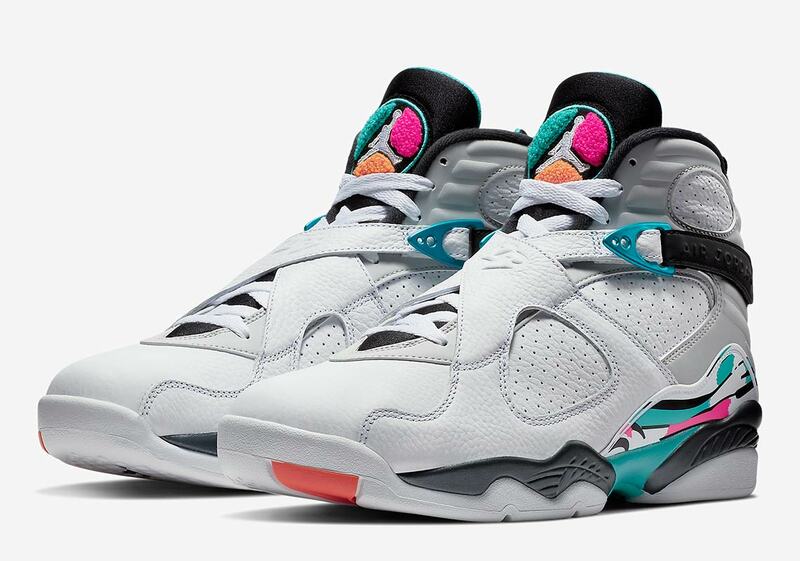 1993 was also a monumental time for Jordan’s footwear, as the cross-strapped Air Jordan 8 was introduced to market for the first time ever. 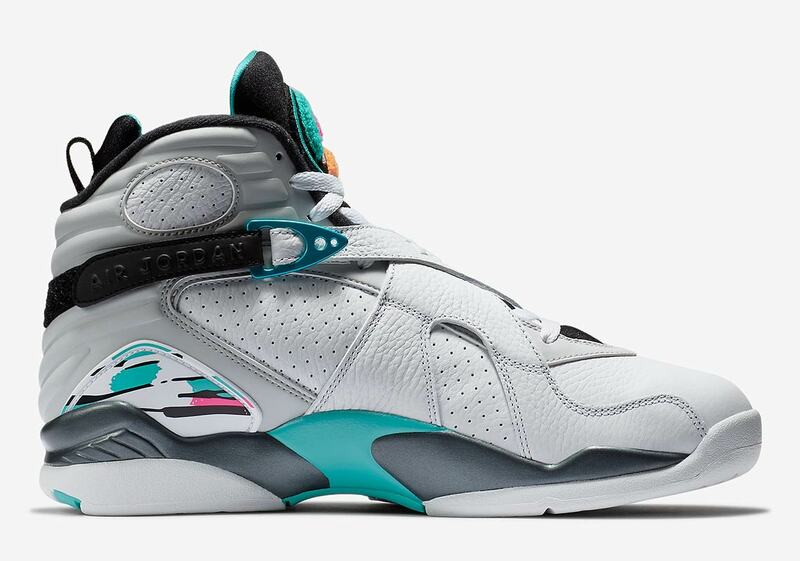 Now, 25 years later, it’s set to release in a brand-new “Turbo Green” colorway that boasts both a familiar color scheme and striking detailing — said to be inspired by the San Antonio Riverwalk, and bearing similarities to many a past “South Beach” release. 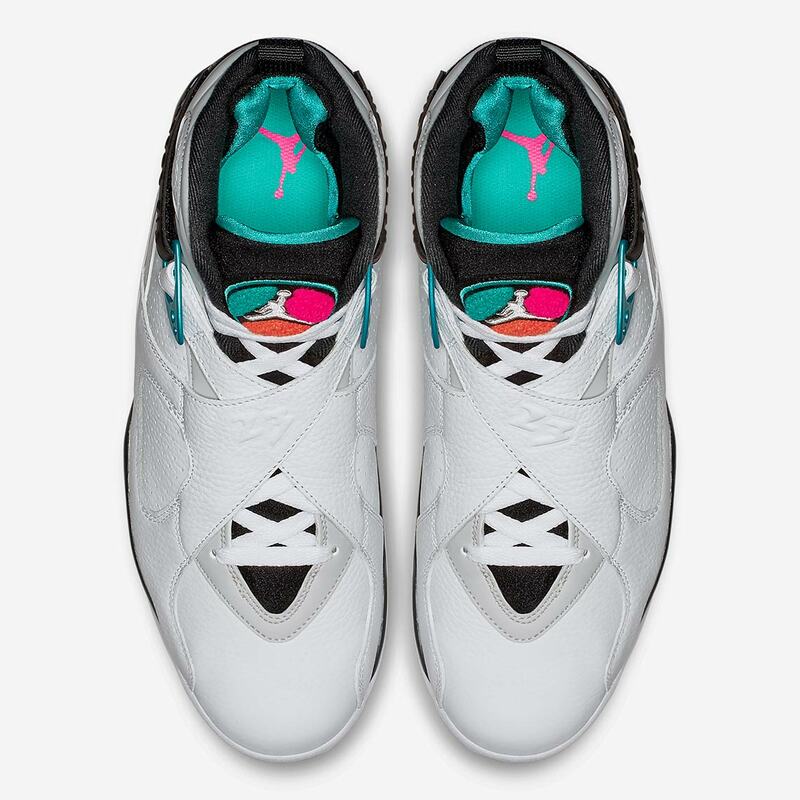 A combo of white tumbled leather and soft grey nubuck serves as a base, while accents arrive on both the chenille tongue patch and plastic midfoot details: orange, green and pink on the former and green,pink, and black on the latter. 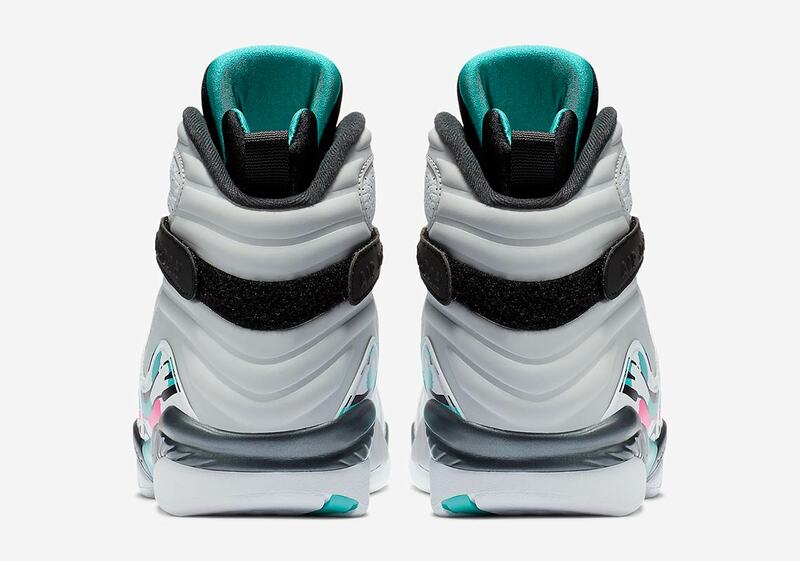 Black accents on the tongue, collar, and Velcro straps tie the upper together, and the look is completed by a steel grey midsole and multi-colored outsole. 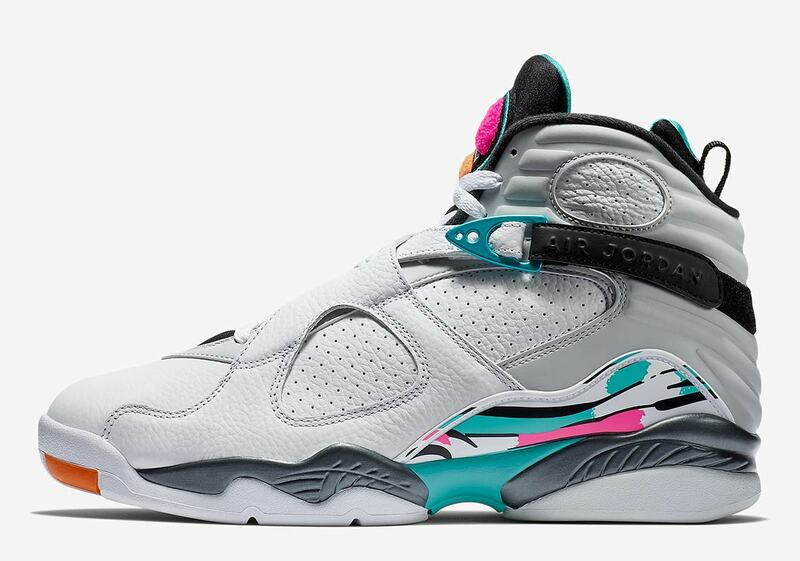 These special AJ8s are set to release October 13th, so check the Where To Buy list below to see where you can cop a pair come release day.